Do you have a UK registered pension and are you a tax resident in Portugal? If you are a tax resident in Portugal and your pension is in the UK, you may be liable to pay tax in the UK. However, it might be possible to transfer your pension fund out of the UK into a Qualifying Recognised Overseas Pension Scheme (QROPS) and benefit from advantages. From 6th April 2006, the rules for UK pension schemes including; retirement annuity contracts, small self-administered schemes, self-invested pension plans, personal pensions and occupational schemes; have been consolidated under ‘Registered Pension Schemes’ – either Defined Benefit or Defined Contribution. More flexibility was offered to pension holders by the UK government in April 2015 meaning that in most cases, 25% of pension pots can be withdrawn tax free whilst the remainder (no matter drawdown, lump sum or annuity income) is taxed at the pension holder’s marginal rate of up to 45%. If income is sourced in the UK, than non-UK residents are liable to pay UK income tax on those earnings as is the case for earnings of UK residents. If you have a pension in the UK, this is counted as UK source income and so you are taxed at your marginal rate on the 75% that is not included in your tax free sum. However, a Double Tax Agreement (DTA) between the country in which you are resident and the UK can mean that you are exempt from UK tax – choosing instead to pay tax where you are resident. A DTA exists between Portugal and the UK. This means that UK pension holders resident in Portugal pay tax in Portugal on pensions ‘paid in consideration of past employment’ and are not taxed at source in the UK. For annuities or pensions not paid in ‘consideration of past employment’, the ‘Other Income Article’ stipulates that they are still taxable for residents in Portugal. The UK will tax income (UK pensions payments) if the individual is not a taxable on income in Portugal. Government Service Pension Schemes are dealt with under different rules. Legislation in April 2015 affects UK taxation on defined contribution scheme benefits. For instance, taxes on benefits are now influenced by whether the pension scheme member passes away before or after reaching 75 years of age. 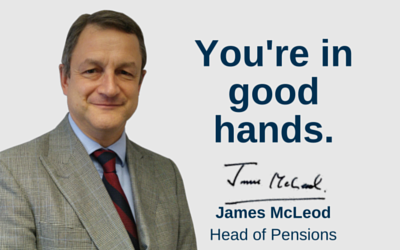 Passing pensions onto beneficiaries is now, in general, less costly. Marginal tax rates are still up to 45%. Non-UK residents with a QROPS can, in some circumstances, pass on benefits at a lower tax rate when they die. Gibraltar taxes of 2.5% apply to QROPS held in the jurisdiction as no DTA exists with Portugal. UK income tax does not apply if the person has been non-resident for five years or withdrawals are below £100,000. Inheritance tax does not apply in Gibraltar and you are protected from UK inheritance tax. Gibraltar QROPS holders are protected from UK death benefit charges if the member is not, and has not been for 5 years previously, a UK resident. A DTA exists between Malta and Portugal meaning that annuities and payments providing a pension arising in Malta are taxed in the country of residence (Portugal). QROPS pensions in Malta are therefore taxed based on Portuguese residency and not in Malta. Government Service and Social Insurance Pensions are slightly different. UK income tax does not apply if the person has been non-resident for greater than 5 years or withdrawals are below £100,000. Inheritance tax does not apply in Malta and you are protected from UK inheritance tax. Malta QROPS holders are protected from UK death benefit charges if the member is not, and has not been for 5 years previously, a UK resident. Tax residents in Portugal are subject to worldwide income tax of up to 56.5% (including a 3.5% surcharge). The government defines residency, primarily, by whether the individual has spent 183 days or more (not necessarily consecutively) in the country. Importantly, another measure for residency is whether the individual has an abode in which they are living (rented or owned) on the 31st December of the tax year in question. They are registered as a ‘non-habitual resident’. Individuals qualifying as non-habitual residents pay tax on income sourced in Portugal but not income sourced in other countries. This includes foreign pension income. However, there are further conditions that must be met. The income cannot be argued to have arisen in Portugal in any way e.g. not from an employer, business or property in Portugal. Pensions based in Gibraltar, Malta or the UK, assuming they are not linked to Portugal, can be paid free of Portuguese tax. Income sourced in Portugal is taxed for non-residents but not otherwise. If the income is remitted then it is considered foreign source and therefore not taxed in this case. Residents benefit from tax credits for taxation that has been incurred on pensions in a jurisdiction which has a DTA with Portugal. If a lump-sum exceeds the contributions paid into the pension scheme whether it be foreign or Portuguese, a 28% withholding tax is levied by Portugal. Approximately 60 DTAs exist between Portugal and other nations. Net wealth and net worth taxes are not levied in Portugal and foreign pensions are not liable to inheritance or estate tax. If the requirements of the DTA are satisfied, than no UK tax applies assuming the pension is ‘paid in consideration of past employment’. If resident in Portugal, tax is levied up to 56.5%. Non-residents do not need to pay tax on foreign pensions. UK tax may apply to non-residents in Portugal. Non-habitual residents in Portugal with a UK pension may not pay tax in Portugal as long as the pension is unconnected to Portugal. The pension fund will be subject to UK death benefit charges. For those members who have been non-UK residents for five years or more, transferring a pension to a Gibraltar QROPS will mean not being exposed to UK taxes on income of up to 45%. The member will pay 2.5% tax in Gibraltar and, if a Portuguese resident, up to 56.5% in Portugal also. A Portuguese tax credit applies to mitigate the Gibraltar tax. Non-habitual residents are exempt from Portuguese tax on their foreign pensions as long as it is unconnected with Portugal or taxed at source. The QROPS will also protect from UK death benefit charges. Assuming the member has been a non-UK resident for five years or more, this option will ensure the pension is not subject to income tax (up to 45%) in the UK. The DTA with Portugal means that, for Portuguese residents, no Malta tax applies as the tax is levied according to Portuguese tax law (up to 56.5%). Although no Portuguese taxes on the pension will be incurred for non-residents of Italy, taxes in Malta (up to 35%) may be levied. As a foreign pension, A Maltese pension is exempt from tax for Portugal residents. The QROPS protects from inheritance tax in the UK (also ‘0’ rate in Malta) and assuming 5 years as a non-resident in the UK, it will also protect from UK death benefit charges.